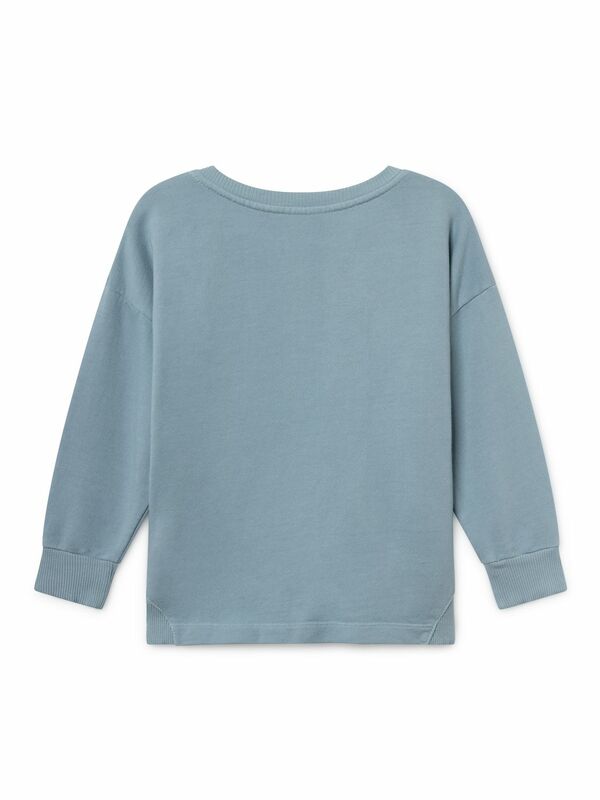 Light blue loose round neck sweatshirt. It features a friendly Mr Potato with the words "Paul's Veggie Wagon" print on the front. Made locally in Spain.